To take it one step further, I also use these cards, along with popsicle sticks and black felt circles, to have my students make notes in class. 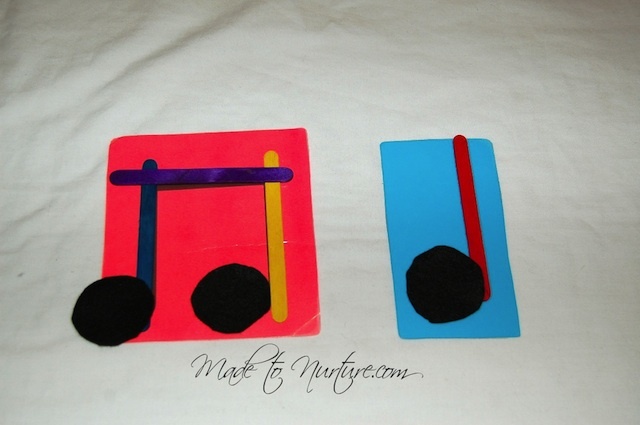 For the younger ones, the notes printed on the flash cards are large enough for them to build their popsicle stick notes right on top of, using them as a guide. For the older children, I place the flash cards on my felt board, and they can build different rhythms with the popsicles sticks. 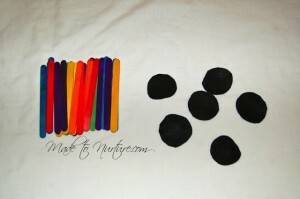 I purchased the popsicle sticks at the dollar store, and cut out black felt circles myself. This entry was posted in Music, Music activities.